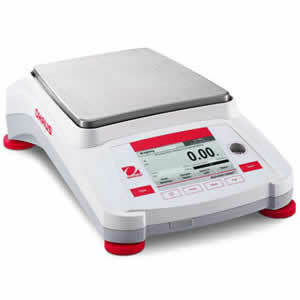 Reliable technology drives the PAJ Gold Series for a stable, legal for trade jewelry scale that can meet your weighing needs and meet handbook 44 as required by the state. It comes in several capacities each of which includes weigh-below hook and RS232 interface. Auxiliary display is available for customer's view. Legal for trade Adventurer balances have the resolutions required for selling gold, silver and gemstones. They feature electromagnetic loadcells for better stability, accuracy, speed and reliability. 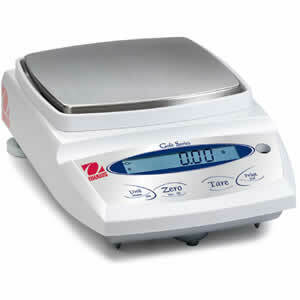 Touchscreen graphic display is easy to operate and two USB ports come standard including one on the front of the balance. Supported NTEP approved units of measure are ct, grain, g, oz, ozt, dwt, lb and kg. Explorer is the industry’s most easy-to-use balance, featuring leveling assistance and instructional messaging for quick out-of-the-box setup and use. 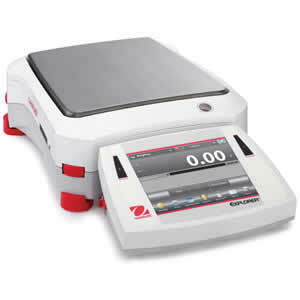 Modular design features a color touch display that can be separated from the weighing base. Explorer features four touchless sensors for hands-free operation of print, calibration, tare, and other selectable functions. AutoCal™ ensures performance and assists with routine maintenance by automatically calibrating the balance daily.